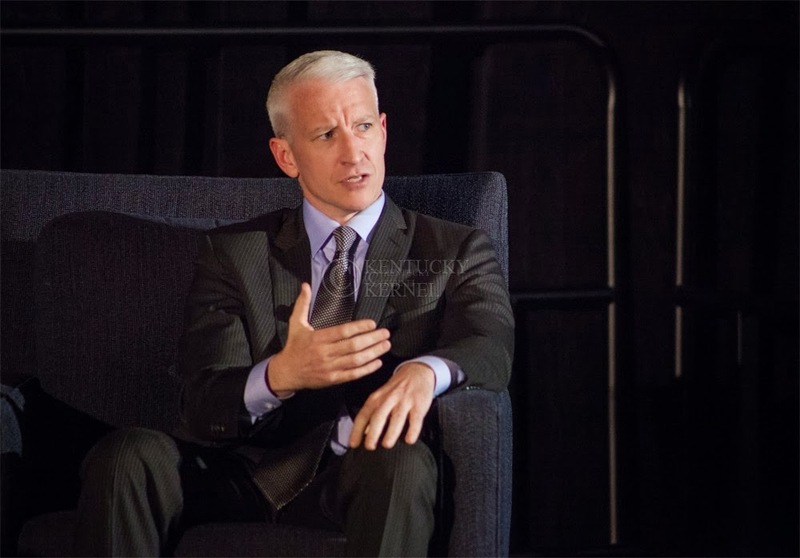 Congratulations to AC360, and Anderson Cooper, who were awarded a News & Documentary Emmy tonight for Outstanding News Discussion and Analysis for its special titled Anderson Cooper 360 - Kids On Race: The Hidden Picture. Anderson shared the good news with viewers of AC360 Later. Seven CNN control rooms in three separate cities with hundreds of staffers worked together to tell the story of the election in a blockbuster broadcast symphony. In addition to getting the votes first, CNN also got the analysis right, with John King at the "Magic Wall" to put reporting expertise on display with a visual tool that out each precinct's fight in geographic and political perspective. Race is one of the most explosive issues in America, and for many adults the most taboo to talk about. But simply not talking about it does not solve any of the issues and that is what the project aimed to do -- get kids and their parents to talk about race and to look to this younger generation to see how far we've really come. Nick Paton Walsh's poetic writing contrasts with the sobering environments from which his stories are usually drawn. His reports punch through the daily accounts of wounded and dead, and give us a fresh way to see the grinding pitilessness of war, and it's quirky inconsistencies. In addition to these News and Documentary Emmy Awards, Anthony Bourdain Parts Unknown was awarded with two Primetime Creative Arts Emmys in a ceremony in Los Angeles last month. It was also great to see Anderson interview a Democrat, Rep. John Larson (D - CT). Anderson asked some pointed questions such as furloughed government employees making $75,000 while Congress still gets their paychecks. Larson said 'no, it's not fair' and expounded on that. If I recall, that provision - Congress gets paid during shutdowns - was passed by the the Republican-controlled Congress in 2003. Furthermore, in his next interview, this time with Rep. Steve King (R - IA), Anderson brought up Romney's 2012 promise to repeal Obamacare and he lost. King replied that Romney's campaign switched to talking about jobs and the economy. Anderson should have said something about Obamacare taking several ideas from Romneycare in Massachusetts. PAUL BEGALA WAS BACK!!! Hot DIggity!!! His panel with Rich Galen and Alice Stewart should have lasted longer. It was awesome to hear his viewpoint again. I appreciated Anderson questioning Stewart's claim that Republicans were the only sensible ones, the only ones coming up with solutions. Thanks to Anderson she had to backtrack on that. However, I did appreciate some of Borger's comments, including her remarks on Obama working with Boehner in the past. I usually think of her as a right-wing pundit but she sounded very middle-of-the-road on Tuesday. Earlier today I read an article about the Mississippi veterans storming the WWII Memorial at the Washington Mall. At that time it seemed like only one Mississippi congressman was involved and only Rep. Bachmann who charged in trying to take center stage and credit. Thanks to Chris Lawrence's report I see that many more congressmen jumped in to grab some of the spotlight. Randi Kaye's report on the motorcycle gang vs. the SUV in NYC was little more than her narrating the video that's already been up on the internet for a while. Horrible situation what happened but the silver lining in all of this is that it kept 360 from being entirely about the shutdown. Congratulations to CNN, Anderson and Nick Paton Walsh on the Emmy wins. Anderson had some good questions and challenges for Larson and King, but I was especially happy to see him really grilling Steve King--I said recently that AC is quite capable of hitting Republicans hard but sometimes he doesn't bother to do it--thankfully that wasn't the case tonight, in fact AC sounded pretty exasperated with the responses King and that blonde conservative woman (I don't remember her name) were giving. It annoyed me how some of the pundits were going on about how President Obama should lead and reach out to the GOP--he's DONE that and they NEVER compromise and what they want is to get rid of Obamacare, his signature achievement--why should he give in to that, especially when the public is against the shutdown and defunding of Obamacare. The Republicans need to learn that they can't hold the country hostage in order to get what they want and overturn the results of the election. They LOST. AC may have enjoyed having Rick Lazio on AC360 Later and may want him back again, but he's another one of those conservatives with a questionable reputation--I didn't care for seeing him on the show. Rich Galen was fine, even though I disagree with him on everything. AC360's award was well deserved--the look at kids and race was one of their more effective special reports. Soledad O'Brien's documentary "Black in America" was much better than Anderson's "Kids and Race." I believe she did win an Emmy and if she didn't she should have. Sorry. She was and is far more qualified to talk about the race issue than Anderson. She was a victim of it growing up and if diversity is in Zucker's DNA, HE has an ODD way of showing it to the public by letting go of his top anchor of ethnicity. CNN is a farce and deserves no Emmys....none, until they shape up. Black In America was great but that does not diminish what AC360 did with their documentary. They deserved the Emmy.